Misdiagnosed spondylolisthesis is a major problem, with many patients being incorrectly told that incidental vertebral slippage is responsible for their chronic back pain. In other cases, listhesis is incorrectly theorized to exist or is ignored when it is truly present. All of these circumstances qualify to be called misdiagnosis. We write a tremendous amount of information about the epidemic incidence of misdiagnosis throughout the dorsalgia treatment industry, as well as throughout the greater healthcare sector, as a whole. Mistaken diagnosis is the single greatest problem facing patients and is directly responsible for more suffering than all of the accurate back pain diagnoses combined. The problem exists on a massive scale that goes far beyond what research scientists estimate it to be. The continuing crime of misdiagnosis is one of the major reasons why we are such active patient educators and advocates, since we regularly witness the collateral damage inflicted to individual patients, as well as society as a whole, by clueless and/or greedy doctors when it comes to diagnostic inaccuracies. This crucial topical dialog sheds light on the most important subject in spondylolisthesis care: the possibility of suffering misdiagnosis. We will define and examine the various types of mistaken diagnoses, as well as investigate the direct consequences of these mistakes on patient outcomes. The first represents true medical error wherein patients are told that they suffer from listhesis when in fact, their spine is completely or nearly normal. A tiny degree of vertebral migration might be present, but does not qualify to actually be called spondylolisthesis. The second form of misdiagnosis occurs when a patient is evaluated using physical exam and medical imaging and objectively demonstrates vertebral slippage of a degree which is considered significant enough to be called spondylolisthesis, yet is not diagnosed with the condition. In essence, the physician or chiropractor does not recognize the abnormality or acknowledge it in any way. The last, most common and worst form of misdiagnosis occurs when listhesis is diagnosed correctly as existing in the spine, yet is unfairly blamed for being pathological and/or painful, when in fact, there is no evidence of pathology being linked to the slight to moderate structural changes. This is the type of misdiagnosis we focus upon, since it is the one we see the most often and the one which can cause the most damage to patients over long timelines of care far into the future. In the first 2 scenarios detailed above, the diagnostic mistake is usually rectified as soon as the patient sees another physician for a second opinion. This of course, reinforces why we routinely advise patients to seek out multiple diagnostic opinions, even if they have a good relationship with their current doctor. When the last type of misdiagnosis occurs, patients immediately suffer a substantial and difficult-to-reverse nocebo effect. They feel damaged and justified in a belief that their spine is pathologically affected by some abnormality that is directly responsible for their pain. In many instances of grade 3 and 4 listhesis, the idea that vertebral migration is the direct cause of pain is definitely true. We are certainly not disputing that severe listhesis can be very symptomatic. However, minor to moderate cases are virtually never pain problems and should never be implicated as such, especially without truly objective evidence of some mechanism through which pain is being generated. In these misdiagnosed cases, there is no such evidence produced and patients are subjectively diagnosed with pathological listhesis to serve some care provider imperative which is usually financially-motivated. Patients who are misdiagnosed as having pain from incidental listhesis suffer in many ways. They stop seeking diagnosis of the actual cause of their pain, since they already blame a scapegoat irregularity for its origin. Therefore, the actual origin will never be discovered or treated. They begin spondylolisthesis treatment that is not needed or even targeting the correct source of their suffering. They view their spine as damaged goods, when in fact; there is nothing truly “wrong” with it, even if it is not “textbook normal” in appearance. Remember one of the most important lessons taught throughout medical school is that “atypical structure does not accurately predict pain”. No truer statement has even been conceived. Research science has definitively proven that listhesis is not inherently painful or pathological in any way. The vast majority of cases are classified as low grade (1 or 2) and considered to be incidental spinal abnormalities of no consequence. While this is factual information noted throughout the medical record, this is certainly not the way listhesis is often treated on a clinical level. Many doctors diagnose listhesis as the cause of coincidental pain, simply because it is present and might be the most seemingly significant structural abnormality in the vicinity of the pain complaint. In these cases where no pathology exists and the diagnosis of painful origin is made subjectively, the clinician is obviously proving their ignorance and making a terrible mistake in presuming that listhesis is the culprit without finding a definitive mechanism of action creating pain. 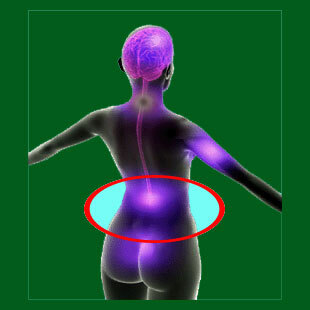 Patients must be reminded that there are hundreds of prospective different sources of pain in the lower back and neck. Many are structurally-motivated via spinal tissues, while others are mechanically-motivated by spinal movement. Soft tissue conditions can be responsible for back pain, even when it feels like symptoms are linked to the spine itself. 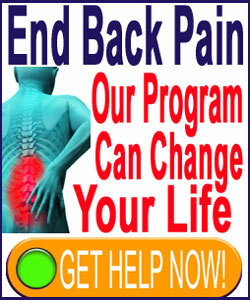 Diseases and systemic concerns are major sources of back pain, as is the mindbody process. Assuming that listhesis is the cause, simply because it is there, is a mistake of epic proportions. Of course, an alternate and darker explanation exists to explain why misdiagnosis is such a major problem. In this scenario, doctors are not clueless at all. Instead, they are opportunistic and predatory, seeking to gain patient compliance immediately for profitable treatment and possibly, even surgical intervention. Treatment is where the big money resides in medicine. Diagnosis is a messy, time-consuming business that is not very lucrative. However, the sooner a patient can be labeled with some diagnosis, the sooner the doctor can cash in by trying to rectify the “probable cause”, regardless of the accuracy of the diagnosis proposed. Some doctors will use propaganda, myths, nocebo influence and outright lies to virtually force patients into care that is not indicated, necessary or even stands much hope for providing any relief at all. Instead, some of the practices utilized will degrade the quality of life and physical functionality and might even result in disability or death. We can only assume that these consequences are meaningless to these unethical, soulless “caregivers” who place money far above the importance of their patients’ health and very lives.